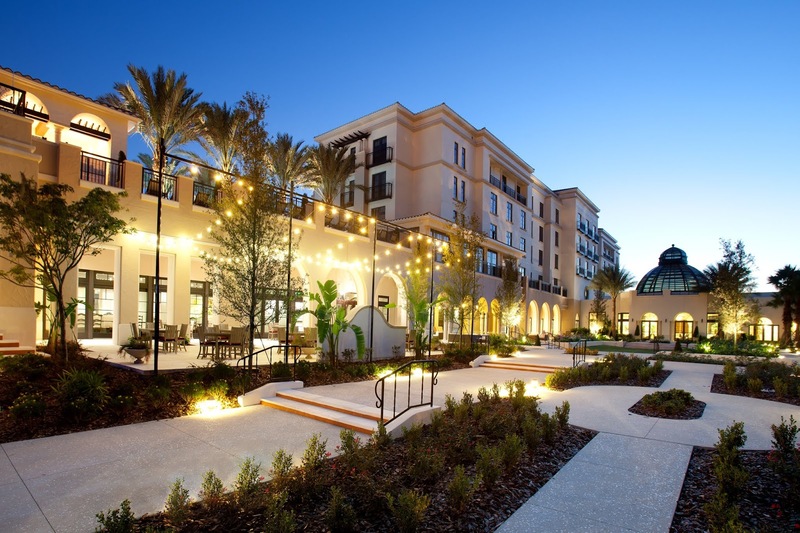 During our stay in Winter Park we had the amazing opportunity to stay at The Alfond Inn. I spotted it a few summers ago when I was in town for two weeks and I knew immediately it was something I wanted to check out. 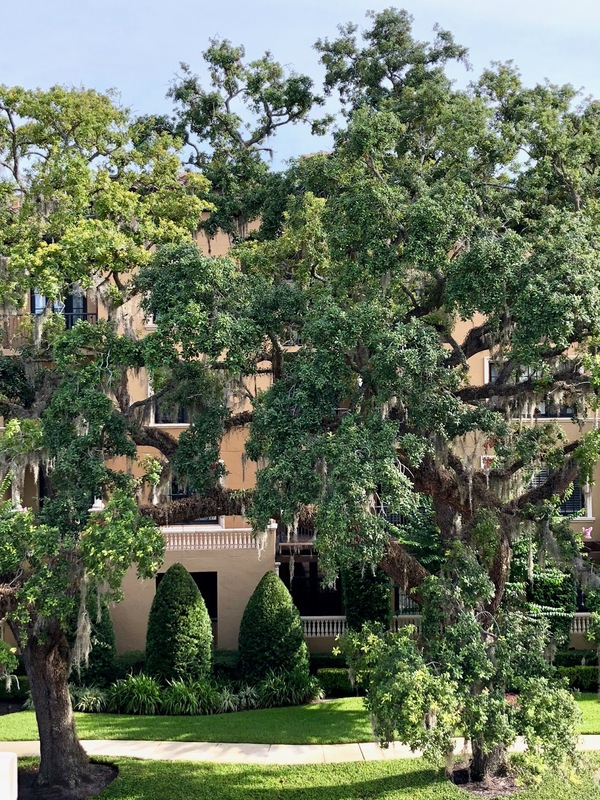 Sitting on the edge of Park Avenue across the street from Rollins College it is not to be missed. The stunning exterior is the first thing I noticed with its beautiful landscaping and amazing tile roof. 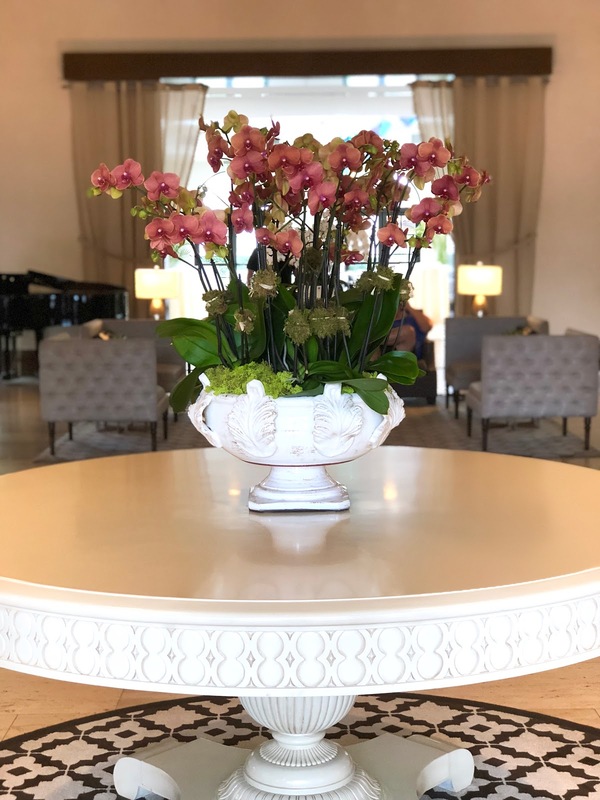 When I booked the trip I knew I wanted to book a stay at The Alfond and learn all about this luxury boutique hotel that was the perfect addition to a city I loved. As I mentioned yesterday I have been visiting Winter Park for many years. Before I moved to Georgia it was my home and it was very common for me to visit the shops and restaurants on Park Avenue and the farmers market on Saturday. I have always loved the charming tree lined streets, darling shops and restaurants and the feel you get while driving on the brick streets. I don't know how to better describe it, for me it is home. Since my parents have moved from my home town of Lakeland and my grandmother has passed it is the place in Florida I connect with the most. I was thrilled to be spending the weekend in my favorite central Florida town and to be able to take my dear friend with me. I literally may have skipped onto the plane. From the moment we drove up I knew we had made a smart decision. The incredible service was the first thing that stuck out to me, from the valets to the front desk and finally to the concierge. Before we had even laid down our bags in the room the concierge was calling with an answer to my questions. Our room was beautiful and perfectly located on the second floor just steps from the beautiful pool and with a view of New England Avenue. I stepped out on the balcony and immediately took in the sound of the passing cars driving over the brick street. I was immediately smitten. The first evening of our weekend we visited the wonderful restaurant, Hamilton's Kitchen, and had drinks and a light bite dinner at the bar. From our seats we could see out onto the courtyard and the flowers and vines growing over the door made me feel like I was in south Florida, which is another haven spot for me. As I sipped my delicious mojito, you must order!, I could not believe I was sitting with such a beautiful view. Honestly I don't think I have felt that relaxed in months. I was already in love with the Inn when the next morning we were treated to a tour of the property and privy to the back story of the construction and vision. At the end of our time with the hotel manager I was blown away. It took me some time to let all the knowledge sink in as we walked the art filled halls and floors of The Alfond. I am so inspired by the history of the Inn, the vision and the commitment of the donors and their mission. Barbara Lawrence and Ted Alfond met at Rollins College in 1965 on the steps of the Mills Memorial Library and were later married. 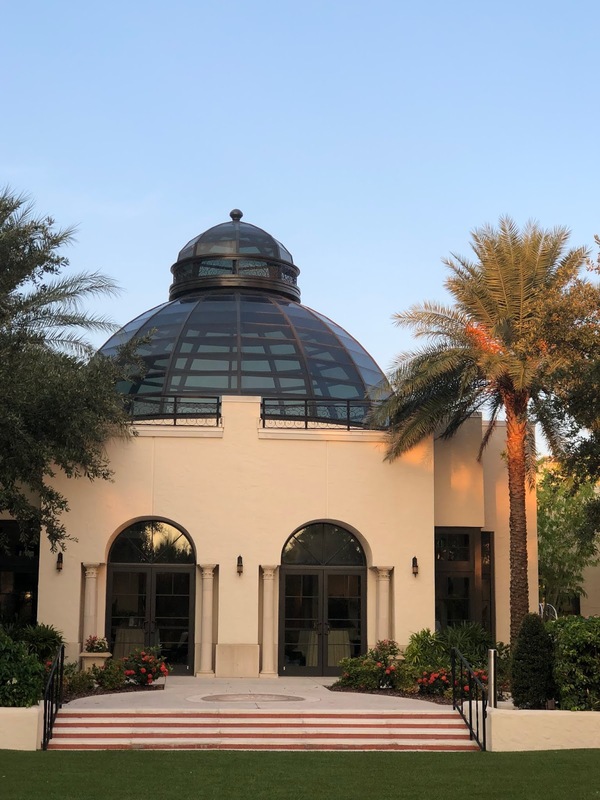 In 2011 they gifted Rollins College 12.5 million dollars from the Harold Alfond Foundation with the expressed intent of establishing a boutique hotel that would feed all of the profits into the Alfond Scholars Program, a scholarship for students wishing to attend the liberal arts college. The program would provide full scholarship providing tuition, room and board for students. 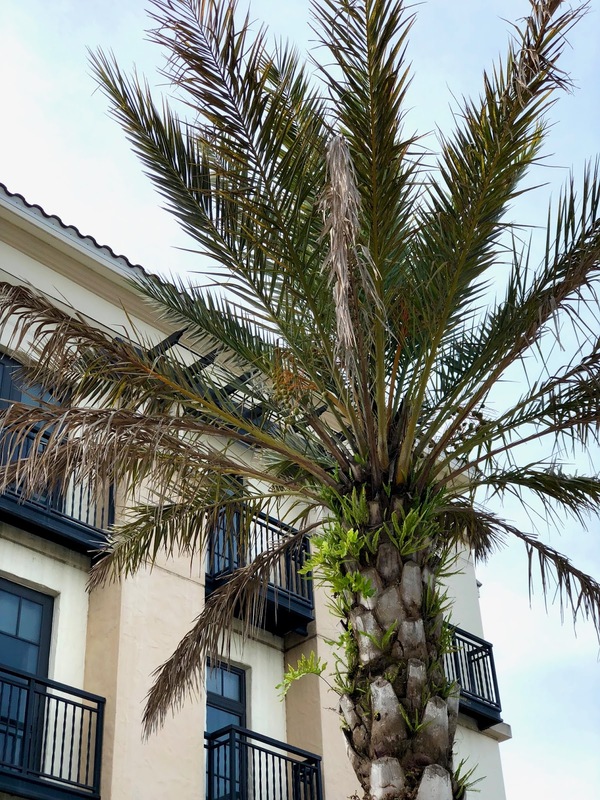 The Inn would stand alone as a part of Rollins and a not for profit, plus it would be just the luxury boutique hotel experience the Winter Park community truly needed. 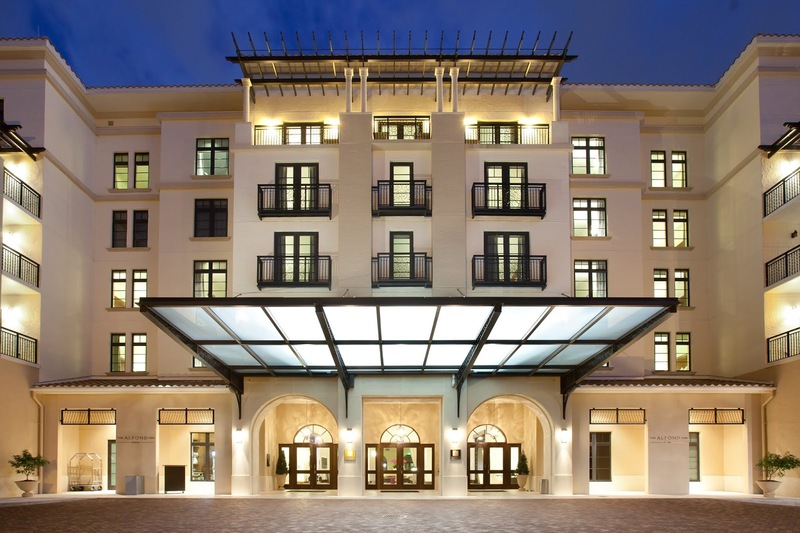 When the hotel opened in 2013 the goal was to raise 1 million in its first year for the Alfond Scholars Program. The first check exceeded the goal as it was written for 3.2 million. Clearly the need of the area needing a luxury hotel was met, and surpassed. 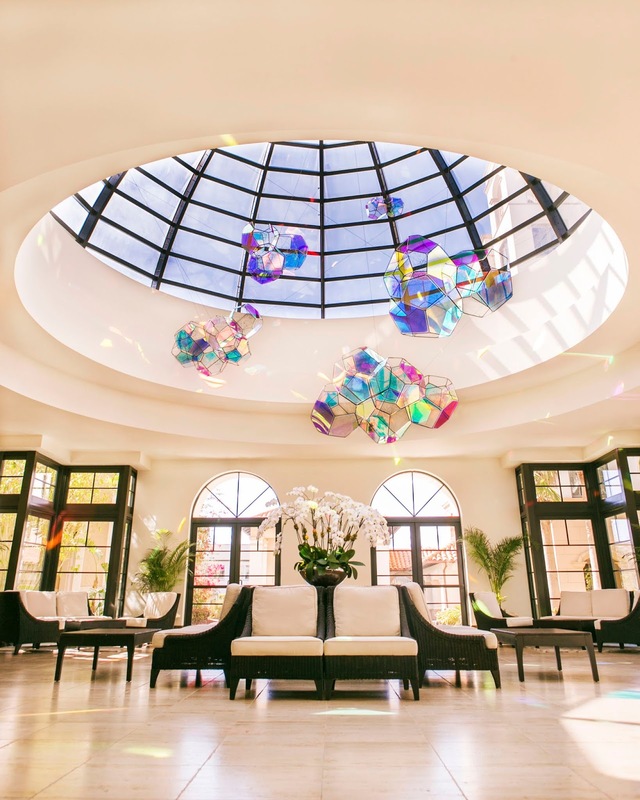 This intimate but incredible boutique hotel has won many awards, including being named the number one hotel in Florida by Conde Nast winning the Traveler Reader Choice Award for the last three years. This 112 room hotel is booked seven days a week with 90 to 100 percent occupancy making it to Travel + Leisure Magazine's list of the best hotels in the world. 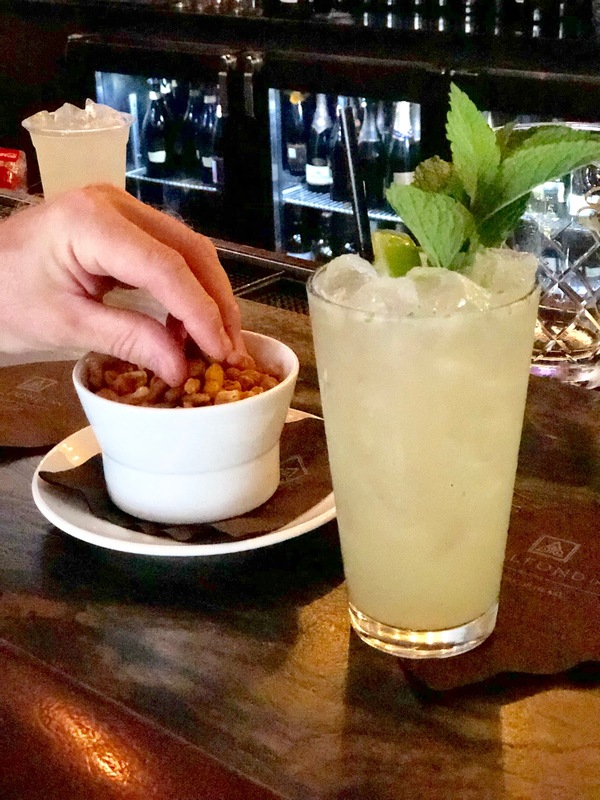 Hamilton's Kitchen has received numerous awards including the Top Hotel Restaurant in Central Florida by readers of The Orlando Sentinel and the Open Table Diners Choice Award. 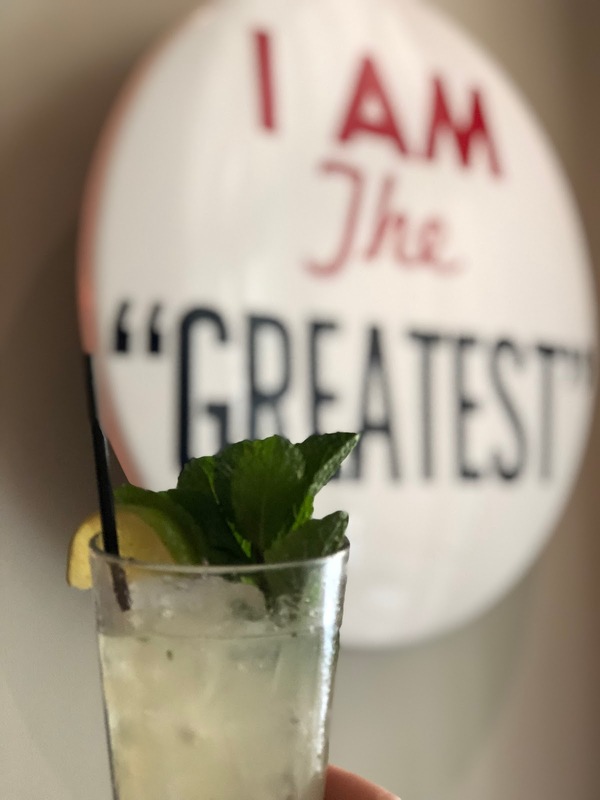 This restaurant was named for Hamilton Holt, the eighth president of Rollins College and the one with the longest reign (1925 to 1949) at the helm of the school. Known for his love of entertaining it was a common practice to see him grab extra chairs from different rooms to accommodate his guests. The chairs in the restaurant reflect this tradition and the seating is compiled of many non matching chairs. 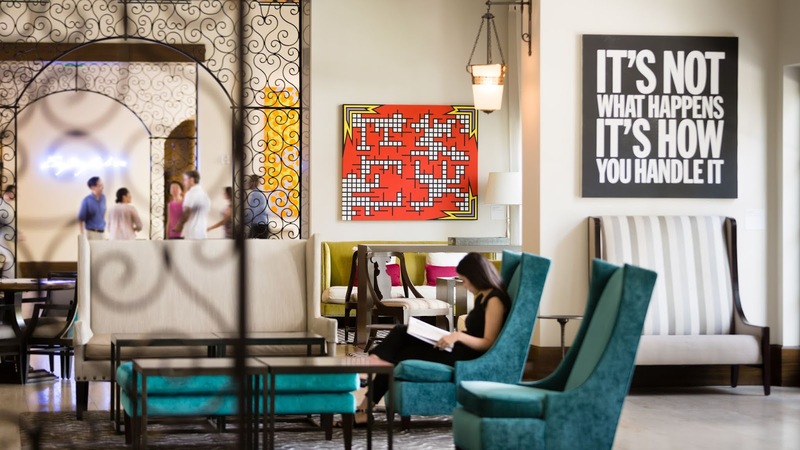 One of the hotel's most unique features is the 300 piece art collection. Hand picked by Barbara Lawrence Alfond with the hope to have each piece draw you in and make you think. Each floor of the hotel has its own art and walking the halls can be compared to visiting a museum. Over our three night stay I spotted new art each day. I would be hard pressed to choose a favorite piece as each of them made me stop and read and take it in. I was most definitely impressed by the large collection and how each of them were so different yet fit together perfectly. Each of the hand chosen pieces is meant to reflect the liberal arts school the hotel helps to support. Mrs. Alfond describes liberal as "not a political point of view" but "rather a concept of education". 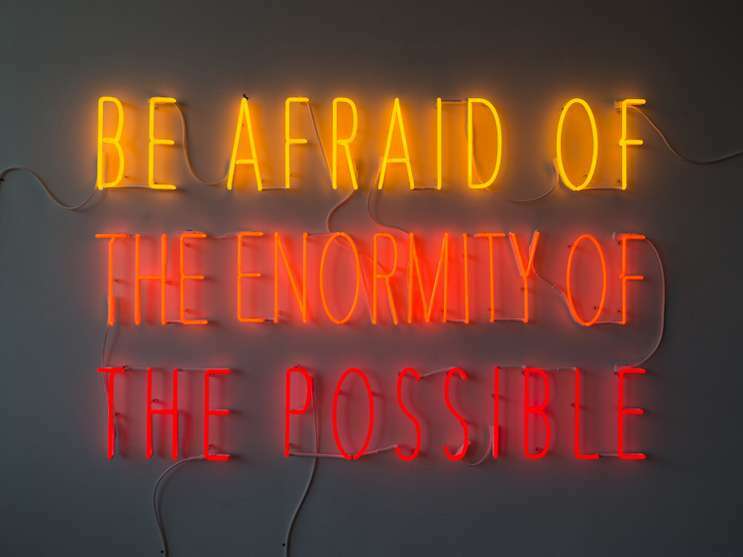 Since Rollins is a liberal arts school it provides an education that is acquired not from just books but also "gained from these moments we are free to explore, to take risks, to experiment, to question, to doubt, to argue, to circle back, to discard, and to begin the long and never-ending road to maturity." The art is part of a larger collection of art the campus houses in the Cornell Fine Arts Museum. I have visited the museum before, and although I missed a visit on this trip, I highly recommend you don't miss it. I truly can not recommend The Alfond Inn enough. 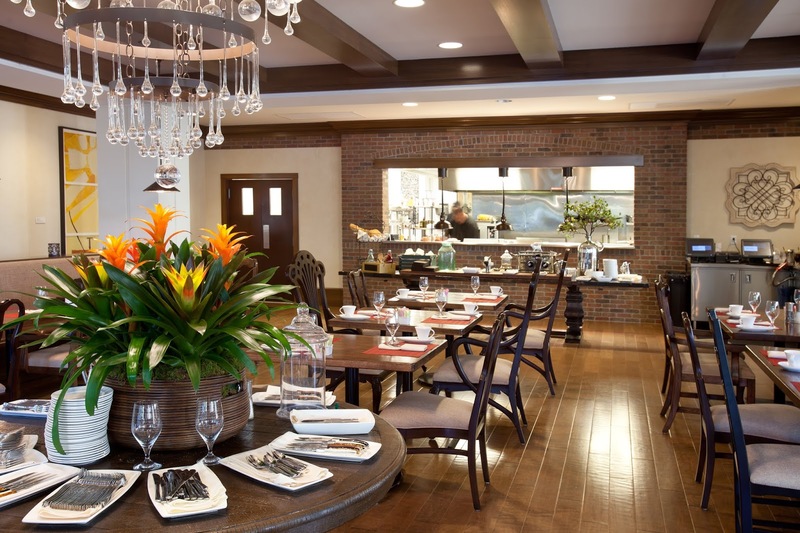 If you do not need a place to stay while you visit I would encourage you to stop in for a drink, brunch or dinner. 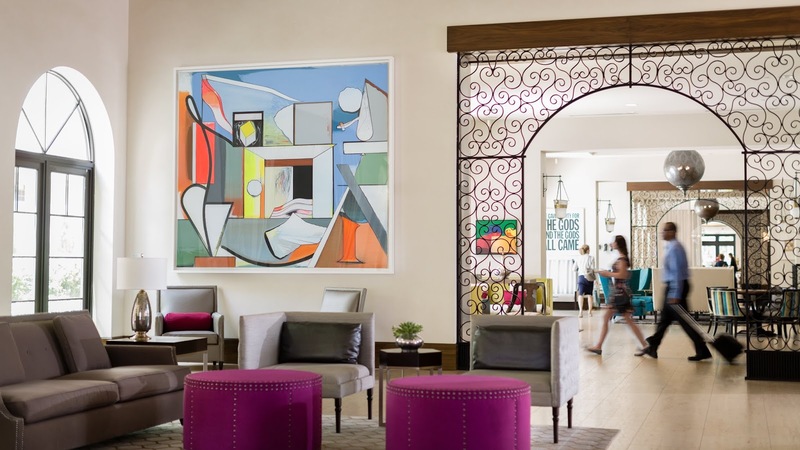 Wandering through the halls of the hotel would be an amazing opportunity to check out the incredible art and having a drink sitting in the rocking chairs facing the courtyard is not to be missed. 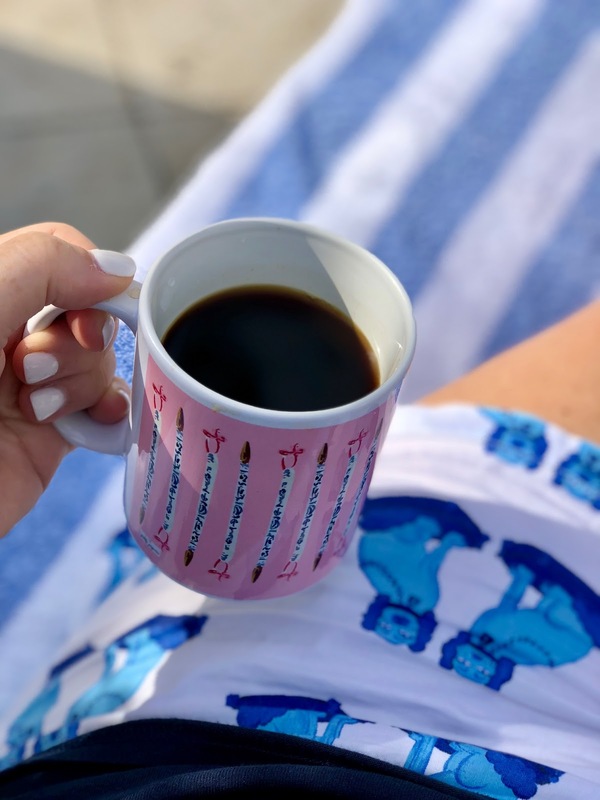 Lance and I had coffee at the pool one morning and we loved the quiet and beautiful view as we started our day. You will love the inn and the lovely people there, I promise you it is most definitely worth every moment. I already miss the incredible concierge and his incredible tips.